6325,30: Radio Caroline International @ 17.12. SINPO 24222. 6925 (USB): Spider Radio (tent) @ 19.47. SINPO 44444. 6318,90: Radio Caroline International @ 20.54. SINPO 44444. Closing down at 21.07 UTC. 6140: Radio Gloria via Nauen transmitter site, 250 kW @ 09.33. SINPO 55555. Here I copy the info I got today from the station: "The transmitter is located in Nauen (Berlin) /.../ The power has been 250 kw today. Usualy we broadcast with 100 kw /.../ the ariels in Nauen are directed to southern Europe." 6220: Mystery Radio (tent) @ 15.18. SINPO 32233. 6305: Radio Malaisy @ 15.15. SINPO 33233. Playing The Beatles' song. Not so strong singal as usually. 6309,70: Summer Meeting Radio (tent) @ 17.22. SINPO 33222. 7610,10: Radio Amica (tent) @ 17.18. SINPO 24232. 3901,50: UNID station (possibly Delta Radio) @ 22.05. SINPO 43443. Playing UB40 song. 3912: Skyline International Radio @ 22.14. SINPO 32333. Playing cover version of a Modern Talking song at 22.16 UTC. 6309,60: Summer Meeting Radio @ 22.19. SINPO 44334. 7610: Radio Amica @ 23.35. SINPO 45344. Playing Prince's song. 3931,70: Radio Galaxy @ 21.33. SINPO 44343. Dance hits. 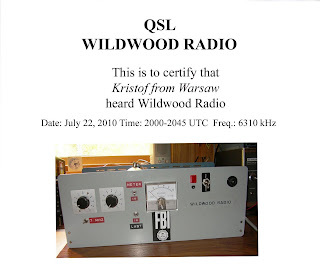 ID given at 21.36 UTC. 6309,70: UNID station @ 17.50. SINPO 43344. Playing rock songs. 6325,30: Radio Caroline International @ 21.24. SINPO 43343. Playing hits. 6310: Wildwood Radio @ 20.04. SINPO 43343. Giving ID at 20.08 UTC. Playing rock classics. 6260,40: Cupid Radio @ 21.54. SINPO 43444. 6310: Radio Rumba @ 21.05. SINPO 32233. 6325,30: Radio Caroline International (tent) @ 21.00. SINPO 32232. 6385: Black Bandit Radio @ 21.25. Playing country music. 6300: Cupid Radio @ 21.33. SINPO 44444. CD at 21.35. 6325: Black Bandit Radio @ 21.41. SINPO 54454. Strong signal. 6309,80: Radio Caroline International @ 21.15. SINPO 44444. CD at 21.18. Earlier: also the same station paralelly with different programme stream on 6319 kHz. 6318,90: Radio Caroline International @ 20.38. SINPO 42343. Playing progressive rock. 6925 (USB): Spider Radio (tent) @ 20.02. SINPO 43343. 6375: Black Bandit Radio @ 21.41. SINPO 43344. 3901: Relmus Radio via Jan Van Gent @ 21.52. SINPO 33233. 3940: Laser Hot Hits @ 22.03. SINPO 33233. 6220: Mystery Radio (tent) @ 21.37. SINPO 42443. 6305: Oldtimer Radio @ 21.32. SINPO 53443. Very strong signal, however some utility co-channel buzz interference. Playing music of the 60-ties. CD at 22.36 UTC. 6310: Marconi Radio @22.05. SINPO 53444. CD at 22.06 UTC on that frequency. 6324,80: Marconi Radio @ 22.09. SINPO 54454. 6375: Rainbow/Cool AM @ 21.56. SINPO 21121. 3940: Laser Hot Hits @ 23.34. SINPO 24232. 6220: Mystery Radio (tent) @ 17.14. SINPO 43444. Some interference from 6225 kHz. 6304,80: UNID station @ 17.08. SINPO 23222. Playing German language polka song. CD at 17.10 UTC. 6306: UNID station @19.58. SINPO 33333. 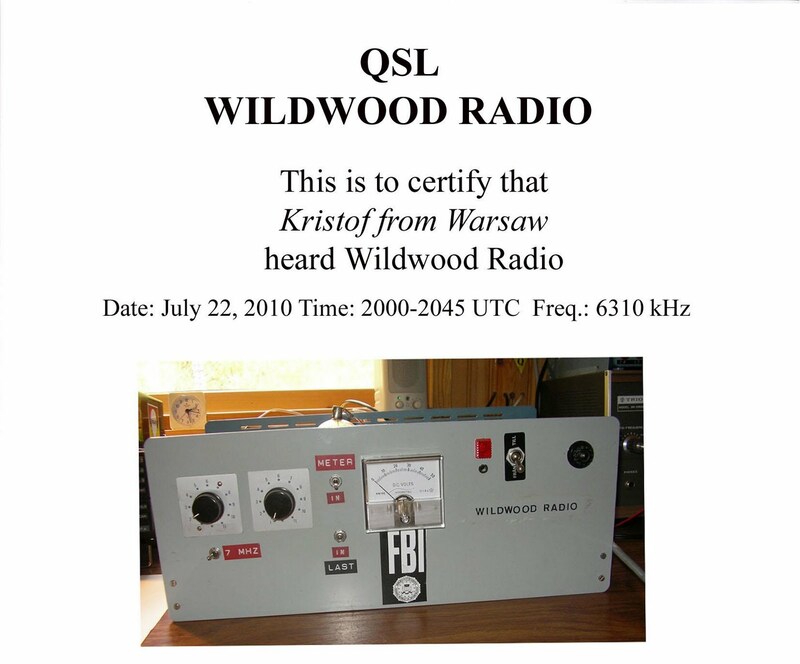 6925 (USB): Spider Radio (tent) @ 20.07. SINPO 44444. Good signal. 6309,70: UNID station @19.21. SINPO 32343. Playing Dutch music. At 19.46 UTC playing Genesis.